Beyond television advertising, the campaign will position outdoor sculptures of 3D giant glass bottle replicas with built-in bubble machines at busy consumer locations. In the U.K., the company will also launch a “Retro Poster Maker” that enables fans to superimpose their photos into classic Coca-Cola ads and possibly have their image featured on the famous Piccadilly sign. 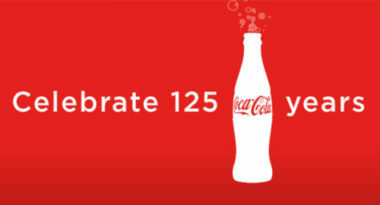 On May 9, employees will be handing out free bottles of Coca-Cola to the London public. As part of the celebration, Coca-Cola packaging will carry 125th anniversary artwork and a range of limited-edition glass bottles will be available.